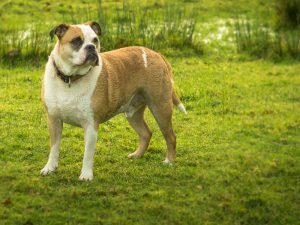 Old tyme bulldog x old English bulldog. Beautiful handsome boy looking for his forever home. 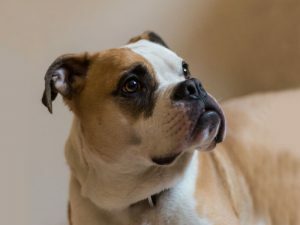 Raised in a family home around children from ages 6 months to 6 years so very well socialised and very gentle. Microchipped and wormed up to date. Only genuine enquiries please, we want the best home for our puppy. Withheld numbers will not be answered. Please call or text if you have any questions.